Last week’s column (“Bet the ranch — UTLA will strike in October”) seems to have touched a nerve. Some readers thought it was cynical to declare a strike inevitable. Others suggested a strike could be easily avoided if the Los Angeles Unified School District board would only accede in full to the union’s demands. But it only took a couple of days after the column was posted for confirmation that a teacher strike is on the fast track and that the board is unable or unwilling — depending on which side you believe — to come to an agreement on those terms. Two things happened last week to move the strike along. One was that the state Public Employment Relations Board ruled the two sides at impasse and appointed a mediator. Breaking the impasse and resuming negotiations require one side or the other to make a concession that indicates an agreement is possible. Second, UTLA announced a strike authorization vote for the week of Aug. 23-30. An affirmative vote by the union’s members does not guarantee a strike will take place, but it grants the union’s officers the ability to call a strike at their discretion, provided all statutory requirements have been completed. What happens next? Well, if you are going to have a vote, you have to have a campaign. UTLA representatives will contact as many members as possible in an effort to ensure the strike is authorized. My sense of the UTLA atmosphere is that if the vote were merely to determine what the members want, a strike would be approved. But the union’s leaders want more than that. The idea is to drive the “yes” votes up so high as to make a public relations statement as well as authorize a strike. A “no” vote, or even a close vote, would indicate no enthusiasm for a strike and — logic suggests — weaken the union’s bargaining position. So the rest of this month will be spent on internal organizing, presenting the union’s bargaining positions to the membership as equitable requests designed to improve public education and student outcomes, while standing firm against the depredations of a “corrupt school board,” as Caputo-Pearl described it. 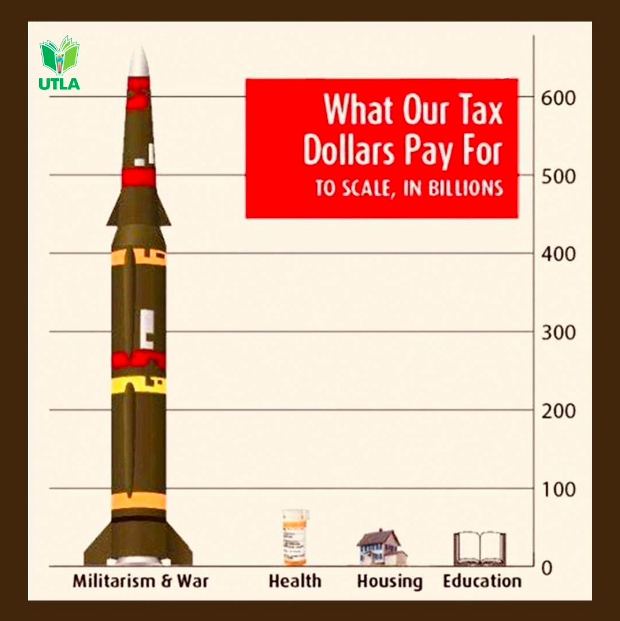 I don’t know how many teachers will take the time to notice that this depiction includes only federal government spending, and leaves out the additional $600 billion a year that state and local governments spend on K-12 public education. Call them half-facts. Caputo-Pearl called the district’s last offer unacceptable; he said the same about the deal the school administrators’ union got. Caputo-Pearl and Beutner can’t both be right, and if the circumstances they describe are true, they can’t both get what they need. That’s why there will be a strike beginning the week of Oct. 8.